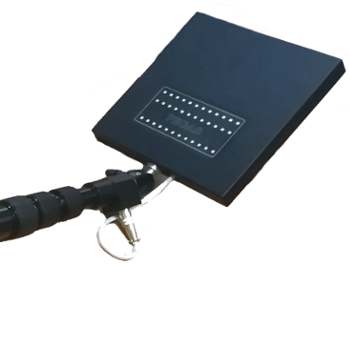 PEGASUS is a Non-Linear Junction Detector designed to search and find concealed electronics of various types: wired/wireless radio-mikes, sophisticated spy microphones, bugs, audio-video recording devices, cellular phones, Remote Controlled Improvised Explosive Devices (RCIED) containing semi-conductor elements. PEGASUS detects variety of targets in every operational mode whether they are active, passive (on a stand-by) or switched-off. PEGASUS ensures extremely efficient and successful target search rate. It provides reliable target localization in light building structures (walls, floors, ceilings), any type of furniture and various home appliances. PEGASUS ensures differentiation between industrial electronic elements and specially constructed eavesdropping devices (bugs), as well as metal-to-metal contacts (corrosion diodes). Auto power off sensor: 1 min, 5 min, 10 min.